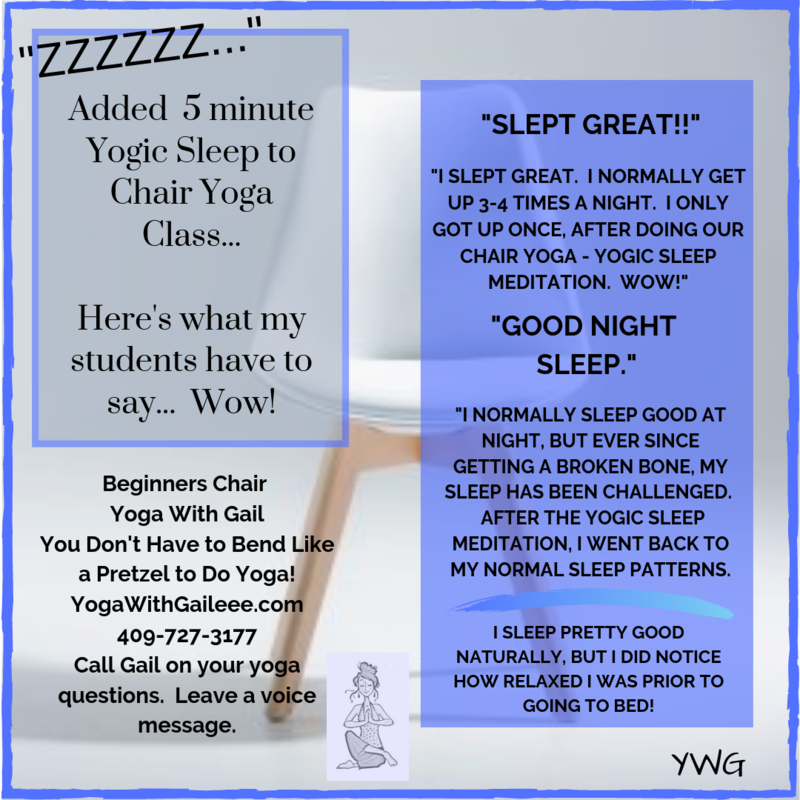 While seated on chairs, students can do versions of twists, hip stretches, forward bends, and mild back bends. In addition to a good stretch, chair participants can also enjoy other health benefits of seated exercise, including improved muscle tone, better breathing habits, reduction of stress, better sleep, and a sense of well-being. Great for all ages and body types, including seniors and those struggling with hip, knee, and other types of joint pain. 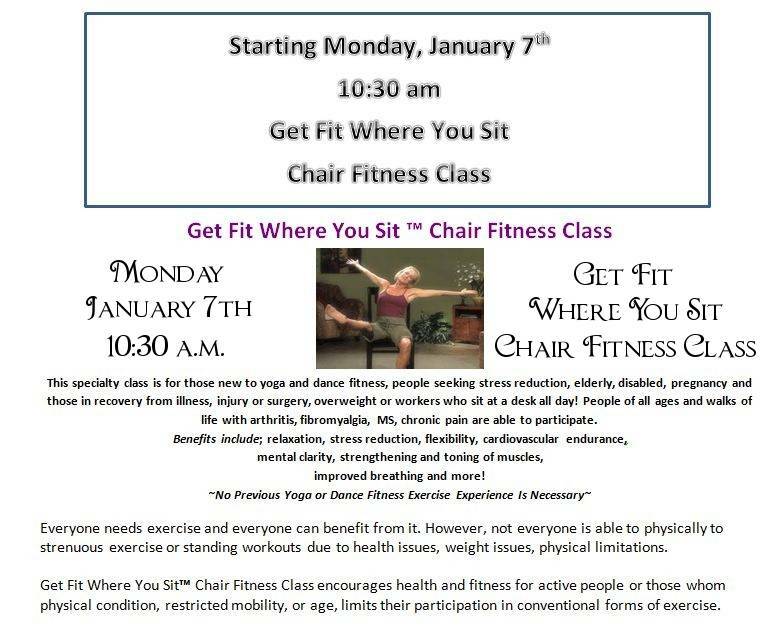 Starting Monday, January 7th at 10:30 am at Exygon in Nederland Texas, I will start to teach a Get Fit Where You Sit ™ Chair Fitness Class.